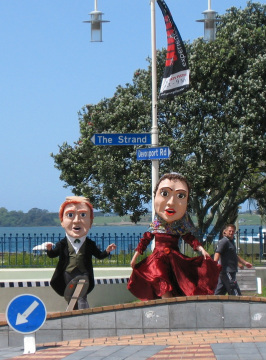 AboutFace creates site specific performance and animates festivals, pageants, parades, conferences and other events throughout Australia and New Zealand. Watch our Showreel to see some of our zany and bizarre visual imagery, mask and stilt characters, giant puppets, interactive comedy and roaming performers in action! - Briony Ellis, Director, Christchurch Arts Festival. - John Coleman, Director, New Zealand Wine and Food Festival. - Michael Peterson, Program Manager, Woodford Folk Festival.